Geisha Williams, Chief Executive Officer and member of the board at PG&E, announced that she has stepped down from her roles as of January 13, 2019, as reported by the Wall Street Journal. The resignation comes in the wake of multiple wildfires tied to the company, and, as a result, PG&E now faces a potential bankruptcy. PG&E will turn to John Simon, General Counsel of the company, to lead the company in the interim after Ms. Williams’ departure. According to Equilar BoardEdge, Simon has been with PG&E in some capacity since 2007. 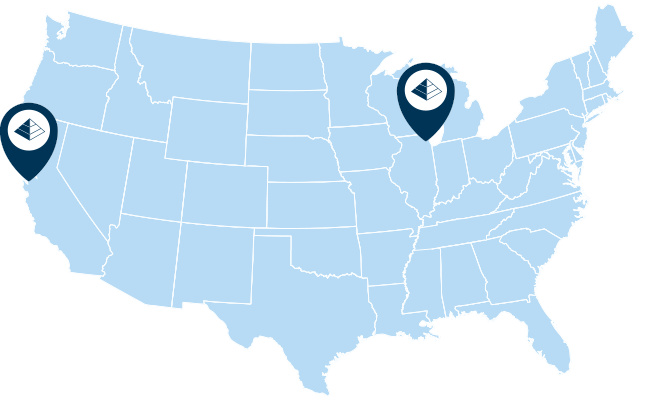 He has been the Executive Vice President and General Counsel, his current role, of the company since March 1, 2017 and is an active member of the Bar of New York. 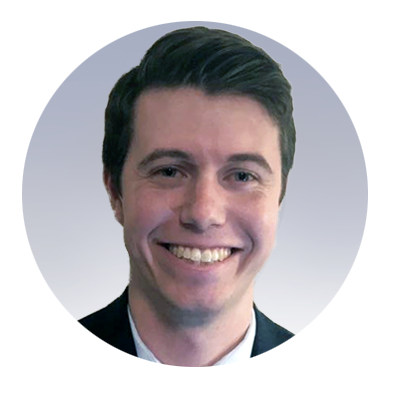 Simon has a bachelor’s degree from Colorado College and degree of law from Georgetown University. 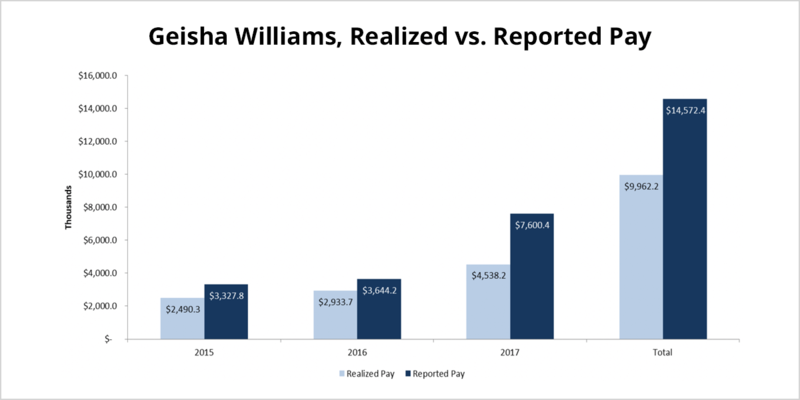 Williams received $4.5 million in realized compensation—pay that an executive received over a given fiscal year, including vested and exercised equity – in 2017, when she was first appointed CEO in March. A large portion of the disparity between the two comes in the form of a $6.5 million stock grant that Williams received in 2017 and has not yet vested. From 2015 to 2017, her time as a named executive officer of the company, Geisha Williams realized close to $10 million, while her pay reported in the company’s summary compensation table neared $15 million. Additionally, using the opening PG&E stock price of $9.21 on January 14, 2019, Equilar calculated Williams’ severance package to be $4.1 million. Breaking that figure down, Williams will receive $2.5 million in the form of cash and $1.6 million in equity. With Williams no longer at the helm, the company will now simultaneously manage a CEO search and a Chapter 11 bankruptcy declaration. 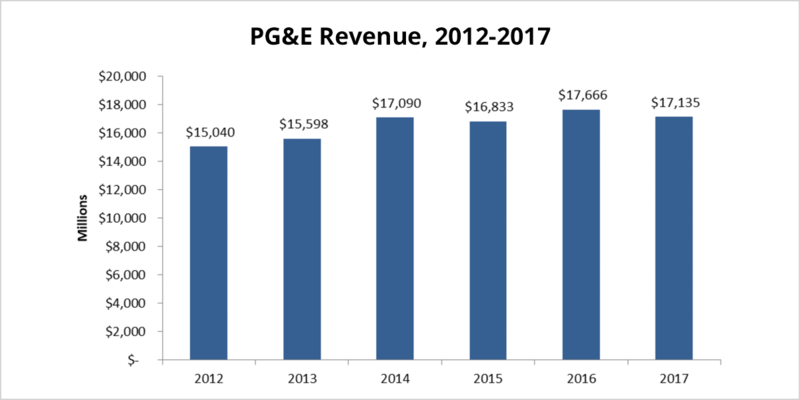 Though it would not be surprising to see Simon lead the company through the entirety of the bankruptcy, directors and executives at PG&E must sift through the totality of candidates in order to select its next CEO.